In this module you will learn how to use the Visio Visual Custom Visual. The Visio Visual allows you to embed Visio diagrams stored in either OneDrive for Business or Sharepoint Online in your Power BI reports. The Visio diagram must be stored in either OneDrive for Business or SharePoint Online. Data from Power BI can be bound to your diagram. 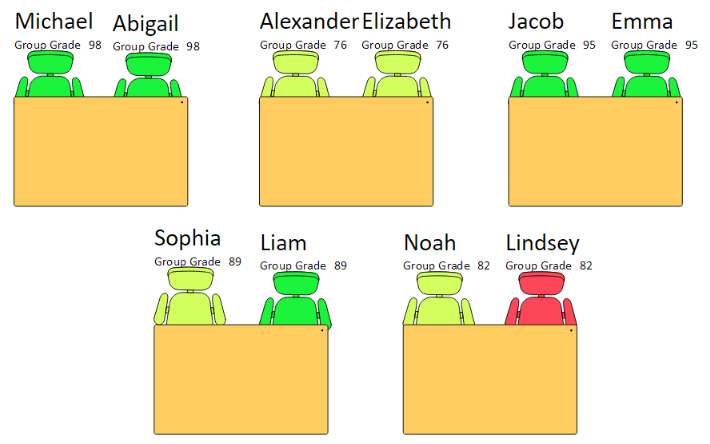 This Visio Visual displays students in a class room and the GPA and grades they scored. Under the Format paintbrush there are not any special configurations you can do for the Visio Visual. All the configuration for this visual is done directly on the visual itself.